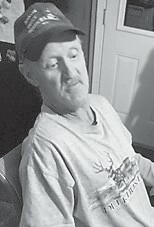 Rocky Green, 61, died February 2 at his home in Isom. A son of the late Edgar and Genava Skyles Green, he was a brother of the late Baby Green and a halfbrother of the late Billy Green. Surviving are a brother, Willie Green and wife Norma of Ohio; a sister, Sheila Amburgey and husband Bob of Isom; six Nieces, Julia, Kathy, Lauren, Joann, Jean, and Marlene; two nephews, Joje and Brandon; and two great-nephews, Cameron and Landon. Letcher Funeral Home had charge of arrangements.